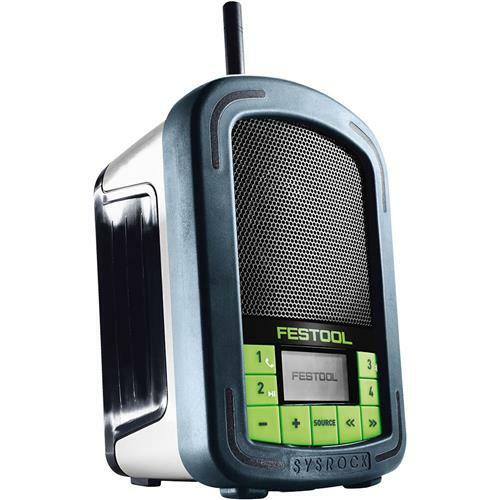 The new Festool SYS-ROCK radio is the perfect companion whether you're on the jobsite, in your shop or just hanging out. Integrated Bluetooth capability let's you pair the SYS-ROCK with your Bluetooth-enabled phone or other music device to stream music or answer calls. Enjoy the flexibility of plugging into an outlet or powering up using your Festool flat pack battery. Tripod mounting capability with 1/4” -20 threaded insert. 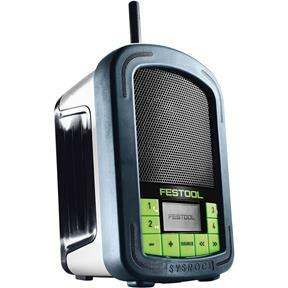 Please note: Includes AC adapter and can be powered by an optional Festool external battery. This SYS-ROCK does not include an internal battery.